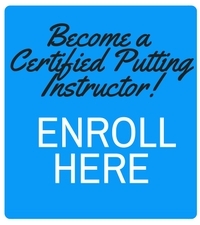 Royston Golf Club’s Head professional and recently qualified Certified Putting Instructor (CPI) Ryan Wingate is already reaping the rewards of his investment in putting, with the new knowledge he has gleaned from becoming a CPI as well as his new putting studio at the golf club. “I really enjoyed the CPI Course. I wanted to specialise in putting as it is an underutilised area in the golf industry. I was interested to get the background information and learn more about Frankly Golf’s scientific research over the years. The CPI Course was very worthwhile and offered a step by step guide that was easy to follow. “I was particularly interested in the section on eye movement, which had not been on my radar before. It really caught my attention and overall it was great to top up my knowledge so I can pass it onto my customers,” said Wingate. Over the winter months, Wingate has been developing a purpose built putting studio in one of the rooms of the clubhouse, and has seen immediate results. Wingate became a PGA professional several years ago because of his love for coaching. A successful County player for Suffolk, he turned his attention to how he could help others with their game. Wingate is very proactive in attracting new players to the game, having started playing himself at age 8. In amongst his other lesson packages he runs a Ladies Fast Track to Golf, supported by Love.golf which includes putting as one of the activities in which ladies participate. 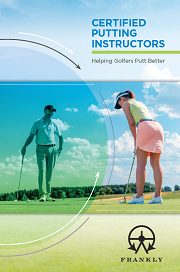 As the golf season approaches, Wingate looks forward to building on his early success, offering his new Certified Putting Instructor service to the 480 members at Royston GC, and the wider Hertfordshire area to help them putt better. “There are big gains to be made in putting. I am looking to grow my niche in the market,” said Wingate.